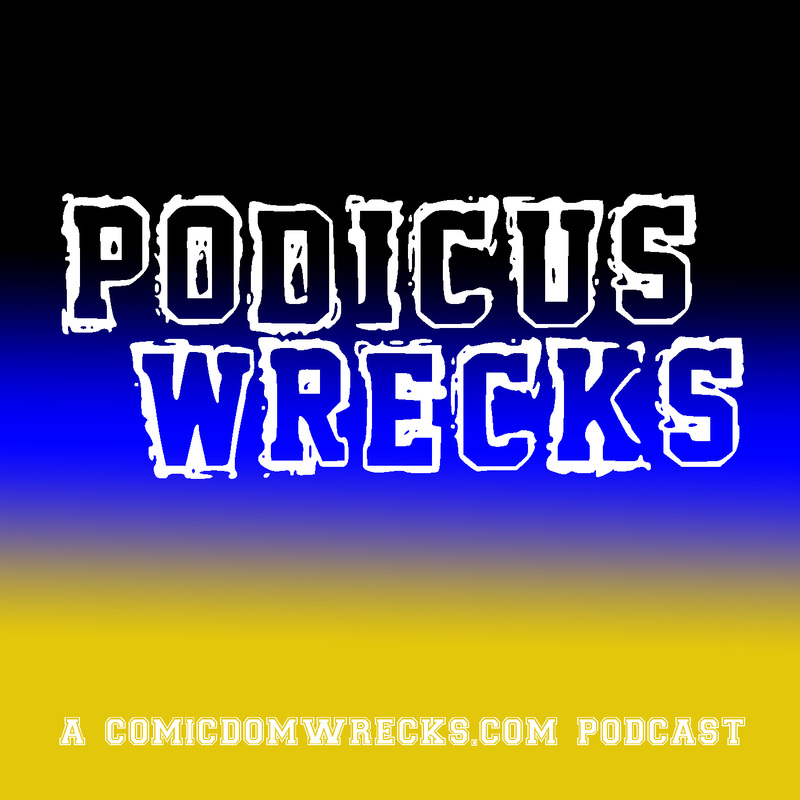 Saturday Morning Cartoon #60: “Fullmetal Alchemist”, Episode 4 – Comicdom Wrecks! This “Saturday Morning Cartoon” post is the 3rd post in a long review of the anime series, “Fullmetal Alchemist”. The review of Episode 1 can be found on my page – LINK; Episodes 2 and 3 can be found HERE. Note: Episode 5 will be on this page but in a separate post. In the previous episode, Alphonse (“Al”) Elric told the disturbingly tragic story of the day that his and his older brother, Edward’s (“Ed”z) mother died, their attempt to use Alchemy to resurrect her, the horrible consequence of that decision, and of their now-mission to become State-sponsored Alchemists. This episode starts with the brothers on the train, discussing not being homesick (they both brag that they’re not), making the right decision to leave everything behind (they are still iffy on that), and becoming State Alchemists (Al wants to fix Ed; Ed brags about becoming one but doesn’t know how it will happen). Ed’s bragging takes a back seat to Al’s thoughts about Winrey and her grandmother, with a quick look-in to the two women: grandma thinks that the brothers “will realize their mistake” and come back, while Winrey, in tears, isn’t as optimistic. The brothers stop at a train station, where they have to wait until the next morning for the next train. Sounds like my adventures with Greyhound, this year! Anyways, the brother try to take a nap but a piercing scream jolts them back to wakefulness. Some criminal stole a purse, tried to flee, and ran into the brothers. A gun is no match for 2 Alchemy-trained boys. A grateful police officer thanks them for the help, saying that the only other person with those kind of Alchemy skills is a Mr. Majhal… except he’s in the next town and that town is haunted by the dead. Guess where we head next? Ed recognized the name ‘Majhal’ as one in letters from their Dad; he is supposedly an expert in Human Transmutation. They reach the town, stiff from the train ride, when they come upon an heavily-lit open area, with tables and chairs set up everywhere. A firework flash nearly takes the boys out; a group of kids rush up behind them. One of them – “the one in charge” – tells them to get lost: “we’re testing out fireworks!” Ed is ready to challenger him (wait… her? She is dressed, according to Ed, “like a newspaper boy”) but a combination of clumsiness and well-placed tripping results in Ed on the ground, Al on top of him, and newspaper-boy-girl sitting on Al. An old man walks up, demanding to know what’s going on. It’s Majhal. The brothers go back to Majhal’s home. He not only recognizes the spirit bind that keeps Al in his suit, he knows them as the sons of Hollenheim (their father). Ed explains his desires to fix him and Al but is shut down by Majhal (like everyone else who continue to warm him and Al about fooling around with Human Transmutation!!!). An older woman named Lebi knocks on the door, offering Majhal some Raspberry jelly. He accepts, graciously. She hesitates, like she is going to say more, but then leaves. 1. It just seems too… random for her to show up in the middle of the night, offering jelly. Is she spying on the Elric brothers? 2. The music changed when her face was shown. I don’t know if this is good or bad. As Ed eats like he hasn’t seen food in 3 years, Majhal explains that the tables and fireworks were for the Requiem Festival – the time when the spirits of the dead are returned to Heaven via fireworks. He also dismisses the rumors that the town is overrun by the dead. Another knock on the door. It’s Newspaper-boy Girl (and her father?). She and Ed had to be held apart, after calling him and Al “so weak for being boys” when her Father demanded that she apologize. Let them go and let them fight!! Turns out, the girl is such rage-filled because her sister died; actually, she claims that her sister was killed “by that dead girl!”. She runs out of the house, with Ed and Al in pursuit. I can’t understand if her name is “Roz”, “Claus”, or “Voz”. For now, I’m calling her “Roz”. She sprints away, trips on a rock, and rolls downhill towards the river. Ed creates a Circle, freezes the river, and saves her from drowning. She is surprised that the brothers are Alchemists and they saved her. Back on the hill where she tripped, Claus (I heard it clearly this time) explains: her sister died 6 months ago, found by villagers. On the evening of the funeral, a woman is spotted in the woods, staring at Claus and her father. Her father told her that that woman had lived in the village but died a long, long time ago. Claus thinks that she killed her sister and asks the brothers to avenge her; Ed turns her down. This earns him a “You’re nothing but a cowardly pipsqueak with a walking trans can!” outburst. He (for at least the 7th time in 3+ episodes) loses his mind in anger, retorting with “Well, if you’re a girl like everyone says, then why do you look like a newspaper boy?!?”. This stung her – she yells “None of your business!” and runs off. I still say let them brawl in Majhal’s front yard. Majhal explains to the boys that that woman dies 20 years ago. She was a florist named Karin, who was known for cultivating the extremely rare Blue Rose. And Majhal sounds like he was in love with her. She died when her wagon fell off of a mountain pass. The brothers discuss the merits of that story when Ed hears a high-pitched note; Al didn’t hear it. They leave the room to investigate the house. Meanwhile, Claus meets up with the boys from the opening scenes in a cafe. She wants to catch this woman-zombie on her own, that night, since no one else will help. Someone drops and shatters their mug at that proclamation. It’s Lebi. That’s now twice that she’s popped up in a big scene…. Night falls and we find Ed and AL at the graveyard. Suddenly, the ground opens up and they fall into a pit. The pit was the trap that Claus and friends set. Claus 2, Elric Brothers 0. Off to the side, one of the boys spots something near the trees. it’s the ghost-woman! The boys run but Claus goes full Leroy Jenkins and charges. Before she can get to the woman, Majhal shows up, with a lantern. He uses the Transmutation Circle on his wrist to shoot flames at the woman-zombie, burning her. However, as she burns, she emits the same high-pitched keening that Ed heard in the house. In the trees, it’s not another zombie, it is Lust, watching it all. Back at the house, Ed and Al are searching the walls for some kind of hidden entrance. Ed doesn’t know what that woman was but he was right in that she wasn’t a zombie. As he turns around, Lenny appears! She holds a light up, which makes that same keening sound, and Ed stumbles into the wall, which opens up. He sees a room full of mannequins. They all look like the zombie-woman. Ed passes out. Out in the hall, Al is confronted… by Majhal! 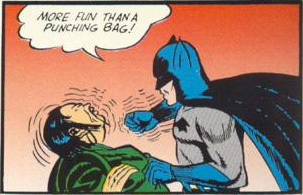 he flashes some kind of beam at Al and knocks him out. Ed wakes up, tied to Al. Majhal and Lebi are in the room, also Majhal explains that the mannequins are “canvases for Spirit Attachments”, replicas of his lost love Karin (the florist woman) with the souls of village girls attached. This explains why the first woman was hanging around at the funeral – it was Klauz’s sister!. Majhal spent the last 20 years trying to perfect Human Transmutation; when that failed, he turned to Spirit Binding. That is a Blue Rose petal…! In another room, Majhal is about to take Claus’s soul, when Ed simply walks through the wall. He tells him that Karin never died – she is alive and is now “Lebi”. The crash caused her amnesia but 20 years later, her memories came back and she went right back to her love: Majhal. He simply can’t accept it and attacks Ed with a transmuted sword… until Al steps in and deflects the attack. He goes for another attack; Ed grabs Karin’s Rose and transmutes it into a cloth, whipping the sword from Majhal’s hand. It flies into the air and impales Majhal, pinning him to the floor. Even in near-death, he can’t accept that “Lebi” is Karin. This breaks Lebi/Karin; she wails as the scene changes to fireworks. The next morning, the brothers are sitting at some kind of transit stop. A buggy pulls up but before they can board, there’s a shout. A pretty girl is standing there, apologizing – it’s Claus. They realize that it’s Claus and scream, prompting her to yell at them to grow up. As the buggy rides away, Ed opens the door and tells her that “she’s prettier when she’s not dressing as a newspaper boy”. She beams and waves farewell to them, with tears in her eyes. That was an incredibly gut-wrenching twist and ending – with Majhal and Corine – to an otherwise really good, compelling episode. The brothers saw how Alchemy, as much as they’ve used it to help people, can still be a source of unhappiness and potential evil.